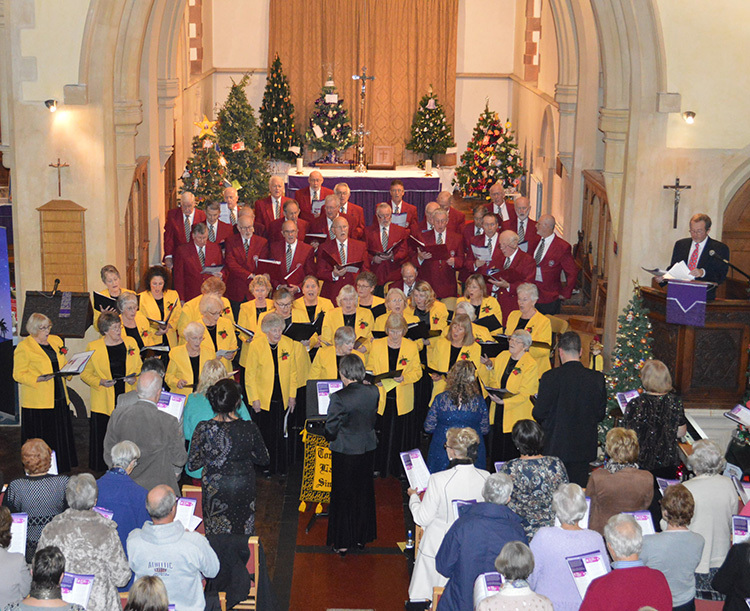 On Friday 16 December 2016, the Ladies gave their traditional concert alongside the Rame Peninsula Male Voice Choir at St James Church, Torpoint. 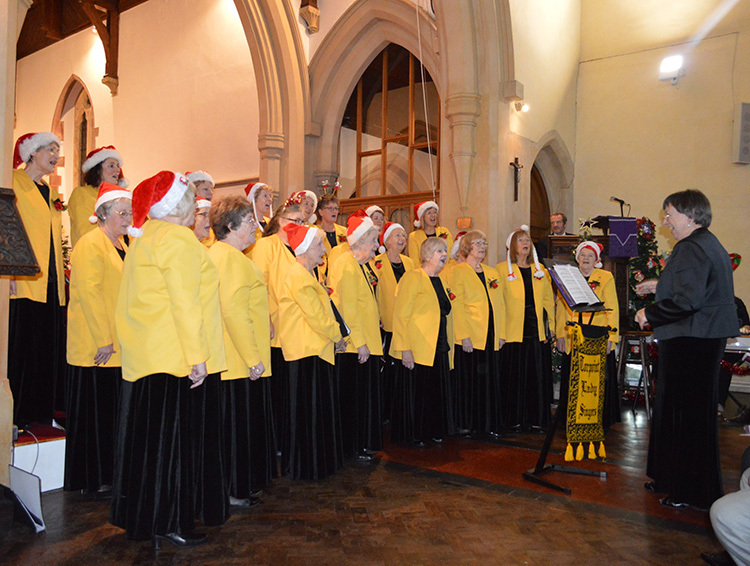 Below: The ladies donned festive hats to conclude their performance wiith the popular song, "I Wish It Could Be Christmas Every Day." 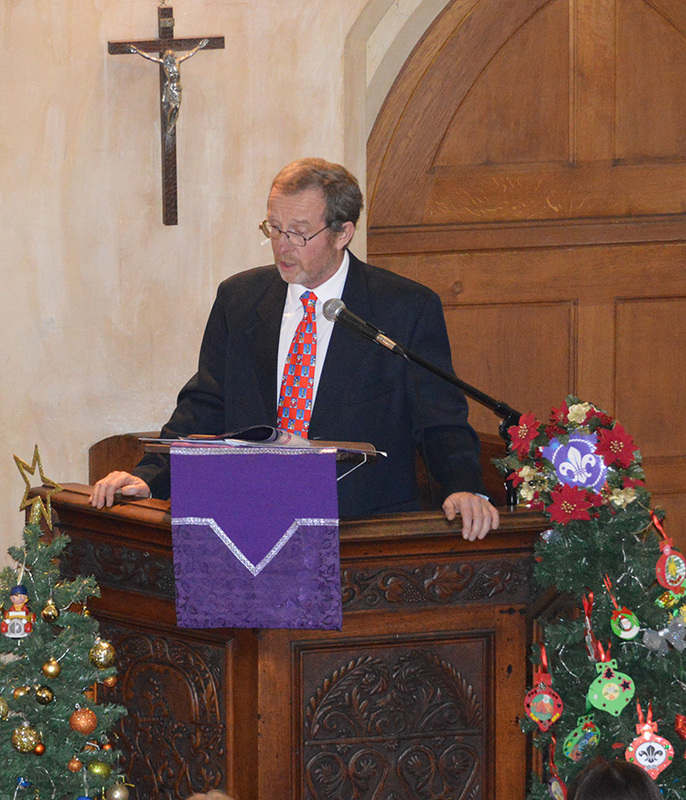 Below: John Payne acted as Master of Ceremonies and also entertained the audience with a selection of festive fun. 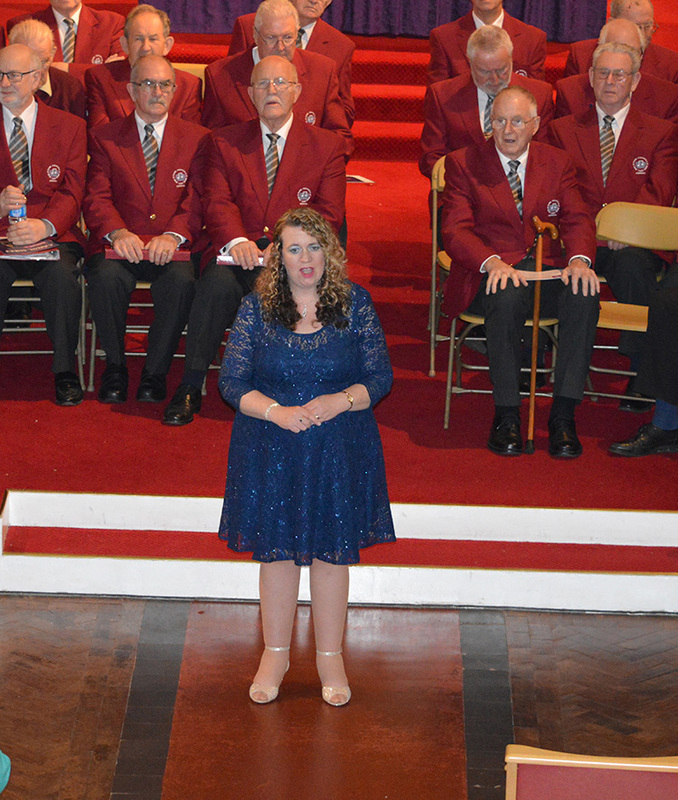 Below: Guest soloist Sue Hearn gave lovely performances of "Come Unto Him All Ye That Labour"; "The Holy City"; "Waltz" (from Tom Jones) and "O Holy Night."